BleachHouseLibrary.ie: #IrishFictionFortnight - Day1 - "The Way We Were" by Sinéad Moriarty. Review. 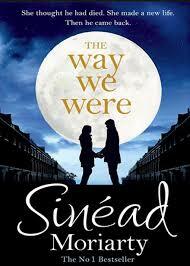 #IrishFictionFortnight - Day1 - "The Way We Were" by Sinéad Moriarty. Review. Alice, Ben and their two daughters, Jools and Holly, live a comfortable life in London. Alice is a GP, Ben is a surgeon and they have daily battles with Jool's homework and hormones, a mini Einstein in their eleven year old, Holly, and a relationship that may not be in its first flush of romance, but nevertheless is a sturdy marriage. Alice wishes Ben would spend more time at home, helping with the dramatic Jools and Ben has a longing for more oomph in his daily grind. When he signs up for a humanitarian trip to Eritrea, he never expects his journey may well change the rest of their lives. Despite pleas from Alice, the trip goes ahead and with disastrous consequences. With Alice struggling to move on with her life and Ben desperately trying to return to his, time ticks by. A reunion that should be full of delight and intense happiness turns out to be bittersweet. Can the family find enough in their past to protect their future? Anyone has been married a while, especially with growing children in the mix, can recognise the little moments of tension that pass between Ben and Alice at the beginning of this book. Routine and the mundane, endless list of chores can eat away at the best of us. Ben is having a bit of a midlife crisis, but instead of buying a sports car, or having an affair, he has taken up cycling. A top of the range bike and a vast selection of Lycra seems to be the crisis-du-jour these days. Have a quick glance at the age group of these road warriors the next time you are on an evening or Sunday drive. Chances are, there are more than a few Bens in amongst the helmet wearing bunch. Alice doesn't seem to have time for individual pursuits. Working and family life pretty much have her days filled to the brim. She is devastated to learn that Ben is heading off to a place they know little of, and while teaching inexperienced doctors how to improve their surgical skills is a very worthwhile cause, she would rather he taught their high-maintenance teenager how to finish homework. Jools is a handful, but the author has cleverly injected humour into her more frustrating moments. The Kardashians are her role models (God love us all) and she is not the sharpest tool in the box. I could picture her eye-rolling and iphone thumbing all the way through the novel and she is perfectly balanced out her younger sibling, Holly. Eleven years old, crazy about books and random facts, school is a little piece of heaven for her, as she soaks up knowledge like a sponge. The two girls may have nothing in common but as their world comes crumbling down around them, they learn to love and respect each other under new circumstances. The supporting characters really make this family drama stand out from other women's fiction. Kevin, Alice's gay brother is stereo-typical and flamboyant, but a great addition. He lightens the mood when the story has darker moments and adds a modern look to what a family is. The Irish housekeeper, Nora, is great craic and would be a welcome addition to any family. Her 'words of wisdom' are priceless and her wages well earned. Declan, the medical intern assigned to work with Ben in Africa, is from Dublin and is the chalk to Ben's cheese. The duo are thrown together under extreme circumstances but become each others saviours through some dark and depressing times. Declan has a temper but also a wicked sense of humour, which adds to the overall atmosphere in Eritrea. Throw in a poker straight father-in-law, a few amusing stories from Alice's patients and some of Jool's finest grammatical gaffs and you have the perfect package. This may be Sinéad Moriarty's finest work. Well researched, perfect pacing and an ending that keeps you guessing, this is a wonderful read. You'll feel like you are sitting in the family living room at times and that you are involved in the heartbreaking decisions that have to be made. Female fiction has just stepped up another notch. 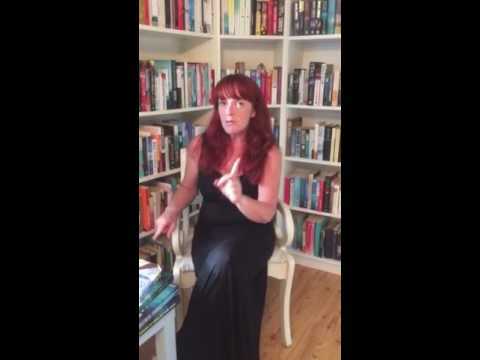 with this lyrical, loving read from one of Ireland's finest authors. Ideal for fans of JoJo Moynes and Marian Keyes.